Parker Solar Probe (previously Solar Probe, Solar Probe Plus, or Solar Probe+, abbreviated PSP) is a NASA robotic spacecraft launched in 2018 and currently en route to probe the outer corona of the Sun. It will approach to within 9.86 solar radii (6.9 million kilometers or 4.3 million miles) from the center of the Sun and by 2025 will travel, at closest approach, as fast as 690,000 km/h (430,000 mph), or 0.064% the speed of light. Artistic rendition of the Parker Solar Probe. The project was announced in the fiscal 2009 budget year. The cost of the project is US$1.5 billion. Johns Hopkins University Applied Physics Laboratory designed and built the spacecraft, which was launched on August 12, 2018. It became the first NASA spacecraft named after a living person, honoring physicist Eugene Parker, professor emeritus at the University of Chicago. A memory card containing the names of over 1.1 million people was mounted on a plaque and installed below the spacecraft's high-gain antenna on May 18, 2018. The card also contains photos of Parker and a copy of his 1958 scientific paper predicting important aspects of solar physics. On 29 October 2018 at about 1:04 p.m. EDT, the spacecraft became the closest ever man-made object to the Sun. The previous record, 26.55 million miles from the Sun's surface, was set by the Helios 2 spacecraft in April 1976. The Parker Solar Probe concept originates from a predecessor Solar Orbiter project conceived in the 1990s. Similar in design and objectives, the Solar Probe mission served as one of the centerpieces of the eponymous Outer Planet/Solar Probe (OPSP) program formulated by NASA. The first three missions of the program were planned to be: the Solar Orbiter, the Pluto and Kuiper belt reconnaissance mission Pluto Kuiper Express, and the Europa Orbiter astrobiology mission focused on Europa. The original Solar Probe design used a gravity assist from Jupiter to enter a polar orbit which dropped almost directly toward the Sun. While this explored the important solar poles and came even closer to the surface (3 R☉, a perihelion of 4 R☉), the extreme variation in solar irradiance made for an expensive mission and required a radioisotope thermal generator for power. The trip to Jupiter also made for a long mission (​3 1⁄2 years to first solar perihelion, 8 years to second). Following the appointment of Sean O'Keefe as Administrator of NASA, the entirety of the OPSP program was canceled as part of President George W. Bush's request for the 2003 United States federal budget. Administrator O'Keefe cited a need for a restructuring of NASA and its projects, falling in line with the Bush Administration's wish for NASA to refocus on "research and development, and addressing management shortcomings." The cancellation of the program also resulted in the initial cancellation of New Horizons, the mission that eventually won the competition to replace Pluto Kuiper Express in the former OPSP program. That mission, which would eventually be launched as the first mission of the New Frontiers program, a conceptual successor to the OPSP program, would undergo a lengthy political battle to secure funding for its launch, which occurred in 2006. 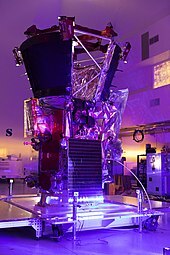 In the early 2010s, plans for the Solar Probe mission were incorporated into a lower-cost Solar Probe Plus. The redesigned mission uses multiple Venus gravity assists for a more direct flight path, which can be powered by solar panels. It also has a higher perihelion, reducing the demands on the thermal protection system. In May 2017, the spacecraft was renamed Parker Solar Probe in honor of astrophysicist Eugene Parker, coiner of the term "solar wind". The solar probe cost NASA US$1.5 billion. The launch rocket bore a dedication in memory of APL engineer Andrew A. Dantzler who had worked on the project. The Parker Solar Probe will be the first spacecraft to fly into the low solar corona. It will assess the structure and dynamics of the Sun's coronal plasma and magnetic field, the energy flow that heats the solar corona and impels the solar wind, and the mechanisms that accelerate energetic particles. The spacecraft's systems are protected from the extreme heat and radiation near the Sun by a solar shield. Incident solar radiation at perihelion is approximately 7005650000000000000♠650 kW/m2, or 475 times the intensity at Earth orbit. :31 The solar shield is hexagonal, mounted on the Sun-facing side of the spacecraft, 2.3 m (7.5 ft) in diameter, 11.4 cm (4.5 in) thick, and is made of reinforced carbon–carbon composite, which is designed to withstand temperatures outside the spacecraft of about 1,370 °C (2,500 °F). A white reflective alumina surface layer minimizes absorption. The spacecraft systems and scientific instruments are located in the central portion of the shield's shadow, where direct radiation from the Sun is fully blocked. If the shield were not between the spacecraft and the Sun, the probe would be damaged and become inoperative within tens of seconds. As radio communication with Earth will take about eight minutes, the Parker Solar Probe will have to act autonomously and rapidly to protect itself. This will be done using four light sensors to detect the first traces of direct sun light coming from the shield limits and engaging movements from fly wheels to reposition the spacecraft within the shadow again. According to project scientist Nicky Fox, the team describe it as "the most autonomous spacecraft that has ever flown". The primary power for the mission is a dual system of solar panels (photovoltaic arrays). A primary photovoltaic array, used for the portion of the mission outside 7010373994676750000♠0.25 AU, is retracted behind the shadow shield during the close approach to the Sun, and a much smaller secondary array powers the spacecraft through closest approach. This secondary array uses pumped-fluid cooling to maintain operating temperature of the solar panels and instrumentation. Second flyby of Venus on December 26, 2019. The velocity decreases by 2.9 km/s to 26 km/s (red circle), shifting the spacecraft to a new orbit closer to the Sun. The Parker Solar Probe mission design uses repeated gravity assists at Venus to incrementally decrease its orbital perihelion to achieve a final altitude (above the surface) of approximately 8.5 solar radii, or about 6×10^6 km (3.7×10^6 mi; 0.040 AU). The spacecraft trajectory will include seven Venus flybys over nearly seven years to gradually shrink its elliptical orbit around the Sun, for a total of 24 orbits. The near Sun radiation environment is predicted to cause spacecraft charging effects, radiation damage in materials and electronics, and communication interruptions, so the orbit will be highly elliptical with short times spent near the Sun. The trajectory requires high launch energy, so the probe was launched on a Delta IV Heavy class launch vehicle and an upper stage based on the STAR 48BV solid rocket motor. Interplanetary gravity assists will provide further deceleration relative to its heliocentric orbit, which will result in a heliocentric speed record at perihelion. As the probe passes around the Sun, it will achieve a velocity of up to 200 km/s (120 mi/s), which will temporarily make it the fastest manmade object, almost three times as fast as the current record holder, Helios-B. Like every object in an orbit, due to gravity the spacecraft will accelerate as it nears perihelion, then slow down again afterward until it reaches its aphelion. Apparent size of the Sun as seen from Parker Solar Probe at perihelion compared to its apparent size seen from Earth. Determine the structure and dynamics of the magnetic fields at the sources of solar wind. Electromagnetic Fields Investigation (FIELDS) – This investigation will make direct measurements of electric and magnetic fields, radio waves, Poynting flux, absolute plasma density, and electron temperature. It consists of two flux-gate magnetometers, a search-coil magnetometer, and 5 plasma voltage sensors. The Principal investigator is Stuart Bale, at the University of California, Berkeley. Integrated Science Investigation of the Sun (IS☉IS) – This investigation will measure energetic electrons, protons and heavy ions. The instrument suite comprises two independent Energetic Particle Instruments, the EPI-Hi and EPI-Lo studying higher and lower energy particles. The Principal investigator is David McComas, at the Princeton University. Wide-field Imager for Solar Probe (WISPR) – These optical telescopes will acquire images of the corona and inner heliosphere. The Principal Investigator is Russell Howard, at the Naval Research Laboratory. Solar Wind Electrons Alphas and Protons (SWEAP) – This investigation will count the electrons, protons and helium ions, and measure their properties such as velocity, density, and temperature. Its main instruments are the Solar Probe Analyzers (SPAN, two electrostatic analyzers) and the Solar Probe Cup (SPC, a Faraday cup). The Principal Investigator is Justin Kasper at the University of Michigan and the Smithsonian Astrophysical Observatory. Heliospheric Origins with Solar Probe Plus (HeliOSPP) – A theory and modeling investigation to maximize the scientific return from the mission. The Principal Investigator is Marco Velli at UCLA and the Jet Propulsion Laboratory (JPL). After the first Venus flyby, the probe will be in an elliptical orbit with a period of 150 days (two-thirds the period of Venus), making three orbits while Venus makes two. On the second flyby, the period shortens to 130 days. After less than two orbits (only 198 days later) it encounters Venus a third time at a point earlier in the orbit of Venus. This encounter shortens its period to half of that of Venus, or about 112.5 days. After two orbits it meets Venus a fourth time at about the same place, shortening its period to about 102 days. After 237 days it meets Venus for the fifth time and its period is shortened to about 96 days, three-sevenths that of Venus. It then makes seven orbits while Venus makes three. The sixth encounter, almost two years after the fifth, brings its period down to 92 days, two-fifths that of Venus. After five more orbits (two orbits of Venus) it meets Venus for the seventh and last time, decreasing its period to 88 or 89 days and allowing it to approach closer to the Sun. ^a The perihelion distances above are from the center of the Sun. For altitude above the surface, subtract one solar radius ≈ 0.7 Gm. ^b Details on Venus flybys from Guo et al.:6 . Note that this was published in 2014, four years before the mission began. For a variety of reasons, including the fact that the launch had to be delayed at the last minute, actual details could differ from the ones presented in the work. ^c Inbound indicates that the Venus flyby will take place after Parker's aphelion (in the case of the first flyby, after its launch), on its way to perihelion. Outbound indicates that the Venus flyby will take place after Parker's perihelion, on its way to aphelion. ^d Inside indicates that the probe will pass in between Venus and the Sun. Outside indicates that the probe will pass beyond Venus from the Sun; the probe will briefly pass through Venus's shadow in those instances. ^e The first orbital period of 174 days was the orbit established by the launch and course adjustments, and was the orbit the probe would have taken had nothing further happened to change it. That orbit was, per mission plan, never completed. On the probe's first inbound course towards the Sun, it made its first planned encounter with Venus, which shortened its orbit considerably. ^f The altitude is from the source cited,:6 dated 2014. 2548 km comes to 1583 mi. NASA's and Johns Hopkins's press releases (identical), say "...came within about 1500 miles of Venus' surface ..." A NASA blog says, "...completed its flyby of Venus at a distance of about 1,500 miles ..." Other news reports, presumably taking that information, also provide a figure of 2414 km. But neither the NASA/Hopkins press release nor the blog gives a figure in kilometers. Both the NASA and Hopkins press releases say that the flyby reduced the speed of the Parker Solar Probe (relative to the Sun) by about 10 percent, or 7,000 mph. This altered the orbit, bringing perihelion about 4 million miles closer to the Sun than it would have been without the gravity assist. ^g By way of comparison, the planet Mercury orbits the Sun at a distance varying from about 46.0 Gm (46,001,200 km) at its closest to about 69.8 Gm (69,816,900 km) at its farthest. Launch occurred on 12 August 2018, at 3:31 a.m. EDT, 7:31 a.m. GMT. The spacecraft operated nominally after launching. During its first week in space it deployed its high-gain antenna, magnetometer boom, and electric field antennas. The spacecraft performed its first scheduled trajectory correction on 20 August 2018, while it was 5.5 million miles from Earth, and travelling at 63,569 km/h (39,500 mph). Instrument activation and testing began in early September 2018. On 9 September, the two WISPR telescopic cameras performed a successful first-light test, transmitting wide-angle images of the background sky towards the galactic center. The probe successfully performed the first of the seven planned Venus flybys on 3 October 2018, where it came within about 1,500 miles (2,400 km) of Venus in order to reduce the probe's speed and orbit closer to the Sun. The first scientific observations were transmitted in December 2018. ^ Mission planning used a perihelion of 9.5 R☉ (6.6 Gm; 4.1×10^6 mi), or 8.5 R☉ (5.9 Gm; 3.7×10^6 mi) altitude above the surface, but later documents all say 9.86 R☉. The exact value will not be finalized until the seventh Venus gravity assist in 2024. Mission planners might decide to alter it slightly before then. ^ a b c d Parker Solar Probe – Extreme Engineering. NASA. ^ a b Chang, Kenneth (August 12, 2018). "Parker Solar Probe Launches on NASA Voyage to 'Touch the Sun'". The New York Times. Retrieved August 12, 2018. ^ a b Chang, Kenneth (August 11, 2018). "NASA Delays Parker Solar Probe Launch". The New York Times. Retrieved August 11, 2018. ^ "Parker Solar Probe Ready for Launch on Mission to the Sun". NASA. August 10, 2018. Retrieved August 10, 2018. ^ a b Clark, Stephen (March 18, 2015). "Delta 4-Heavy selected for launch of solar probe". Spaceflight Now. Retrieved March 18, 2015. ^ a b c d e Applied Physics Laboratory (November 19, 2008). "Feasible Mission Designs for Solar Probe Plus to Launch in 2015, 2016, 2017, or 2018" (PDF). Johns Hopkins University. ^ "Parker Solar Probe Science Gateway". sppgway.jhuapl.edu. Retrieved October 9, 2017. ^ a b Clark, Stuart (July 22, 2018). "Parker Solar Probe: set the controls for the edge of the sun..." The Guardian. ^ Chang, Kenneth (May 31, 2017). "Newly Named NASA Spacecraft Will Aim Straight for the Sun". New York Times. Retrieved June 1, 2017. ^ a b "NASA Press Kit: Parker Solar Probe" (PDF). NASA. Retrieved August 15, 2018. ^ "Parker Solar Probe - eoPortal Directory - Satellite Missions". directory.eoportal.org. Retrieved October 6, 2018. ^ Garner, Rob (August 9, 2018). "Parker Solar Probe: Humanity's First Visit to a Star". NASA. Retrieved August 9, 2018. ^ Bogel-Burroughs, Nicholas; Dunn, Marcia. "NASA probe operated from Johns Hopkins lab in Laurel rockets toward sun for closest look yet". The Baltimore Sun. Retrieved August 16, 2018. ^ "NASA Renames Solar Probe Mission to Honor Pioneering Physicist Eugene Parker". NASA. May 31, 2017. Retrieved May 31, 2017. ^ "NASA's Solar Parker Probe To Carry Over 1.1 Million Names To The Sun". Headlines Today. Archived from the original on August 10, 2018. Retrieved August 10, 2018. ^ "NASA Press Kit: Parker Solar Probe". NASA. Retrieved August 15, 2018. ^ Rogers, James (October 29, 2018). "NASAâ€™s Parker Solar Probe breaks record, becomes closest spacecraft to the Sun". Fox News. ^ "McNamee Chosen to Head NASA's Outer Planets/Solar Probe Projects" (Press release). Jet Propulsion Laboratory. April 15, 1998. Archived from the original on January 2, 2017. Retrieved January 2, 2017. ^ a b Maddock, Robert W.; Clark, Karla B.; Henry, Curt A.; Hoffman, Pamela J. (March 7, 1999). The Outer Planets/Solar Probe Project: "Between an ocean, a rock, and a hot place" (PDF). 1999 IEEE Aerospace Conference. Bibcode:1999aero....1..383M. ^ a b Berger, Brian (February 4, 2002). "NASA Kills Europa Orbiter; Revamps Planetary Exploration". Space.com. Purch Group. Archived from the original on February 10, 2002. Retrieved January 2, 2017. ^ Savage, Donald (November 29, 2001). "NASA Selects Pluto–Kuiper Belt Mission Phase B Study". National Aeronautics and Space Administration (NASA). Archived from the original on July 8, 2015. Retrieved July 9, 2015. ^ Chang, Kenneth (August 10, 2018). "NASA's Parker Solar Probe Is Named for Him. 60 Years Ago, No One Believed His Ideas About the Sun. Eugene N. Parker predicted the existence of solar wind in 1958. The NASA spacecraft is the first named for a living person". The New York Times. Retrieved August 12, 2018. ^ Burgess, Matt (May 31, 2017). "Nasa's mission to Sun renamed after astrophysicist behind solar wind theory". Wired. Retrieved January 1, 2018. ^ How NASA's New Solar Probe Will 'Touch' the Sun on Historic Mission. Meghan Bartels, Space.com. August 9, 2018. ^ Successful Launch of NASA's Parker Solar Probe. SatNews Daily. 12 August 2018. 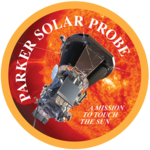 ^ "Parker Solar Probe Begins Mission on Rocket Dedicated to APL's Andy Dantzler". The Johns Hopkins University Applied Physics Laboratory. September 26, 2018. Retrieved December 3, 2018. ^ a b c d e f Fox, N.J.; Velli, M.C. ; Bale, S.D. ; Decker, R.; Driesman, A.; Howard, R.A.; Kasper, J.C.; Kinnison, J.; Kusterer, M.; Lario, D.; Lockwood, M.K. ; McComas, D. J.; Raouafi, N.E. ; Szabo, A. (November 11, 2015). "The Solar Probe Plus Mission: Humanity's First Visit to Our Star". Space Science Reviews. 204 (1–4): 7–48. Bibcode:2016SSRv..204....7F. doi:10.1007/s11214-015-0211-6. ISSN 0038-6308. ^ a b "Solar Probe Plus: A NASA Mission to Touch the Sun". Johns Hopkins University Applied Physics Laboratory. September 4, 2010. Retrieved September 30, 2010. ^ Landis, Geoffrey A.; et al. (July 28–30, 2008). Solar Power System Design for the Solar Probe+ Mission (PDF). 6th International Energy Conversion Engineering Conference. Cleveland, Ohio. AIAA 2008-5712. ^ Mehar, Pranjal (July 20, 2018). "Traveling to the Sun: Why won't Parker Solar Probe melt?". Tech Explorist. ^ "Aircraft Speed Records". Aerospaceweb.org. November 13, 2014. ^ "Fastest spacecraft speed". guinnessworldrecords.com. July 26, 2015. Archived from the original on December 19, 2016. ^ a b c d e Guo, Yanping; Ozimek, Martin; Mcadams, James; Shyong, Wen-Jong (May 2014). Solar Probe Plus Mission Design Overview and Mission Profile. International Symposium on Space Flight Dynamics, At Laurel, MD. ResearchGate. ^ McComas, D. J.; et al. (December 2016). "Integrated Science Investigation of the Sun (ISIS): Design of the Energetic Particle Investigation". Space Science Reviews. 204 (1–4): 187–156. Retrieved February 25, 2019. ^ a b See data and figure at "Solar Probe Plus: The Mission". Johns Hopkins University Applied Physics Laboratory. 2017. ^ "Parker Solar Probe Reports First Telemetry, Acquisition of Science Data Since Perihelion". Parker Solar Probe News Center. Johns Hopkins University Applied Physics Laboratory. November 20, 2018. Retrieved December 18, 2018. ^ "Parker Solar Probe Changed the Game Before it Even Launched". Parker Solar Probe News Center. Johns Hopkins University Applied Physics Laboratory. October 4, 2018. Retrieved December 26, 2018. ^ "How A Change in Mission Design Unlocked the Journey to the Sun". Parker Solar Probe Mission News. NASA. October 4, 2018. Retrieved December 26, 2018. ^ a b "Parker Solar Probe Successfully Completes First Venus Flyby". NASA Blogs - Parker Solar Probe. NASA. October 3, 2018. Retrieved December 26, 2018. ^ "First milestones accomplished on NASA's newly-launched Parker Solar Probe – Spaceflight Now". spaceflightnow.com. Retrieved August 22, 2018. ^ After Near-Perfect Trajectory Maneuver, Parker Solar Probe On Course To Touch The Sun. NASA. 21 August 2018. ^ "Illuminating First Light Data from Parker Solar Probe". NASA Blogs: Parker Solar Probe. September 19, 2018. Retrieved September 22, 2018. ^ Garner, Rob (December 12, 2018). "Preparing for Discovery With NASA's Parker Solar Probe". nasa.gov. NASA. Retrieved March 9, 2019. ^ Brown, Geoffrey; Brown, Dwayne; Fox, Karen (August 12, 2018). "Parker Solar Probe Launches on Historic Journey to Touch the Sun". Parker Solar Probe. Retrieved August 13, 2018.